The River Bend neighbourhood is located in the East end of Regina. Construction began here in 1991 and it is still being developed. 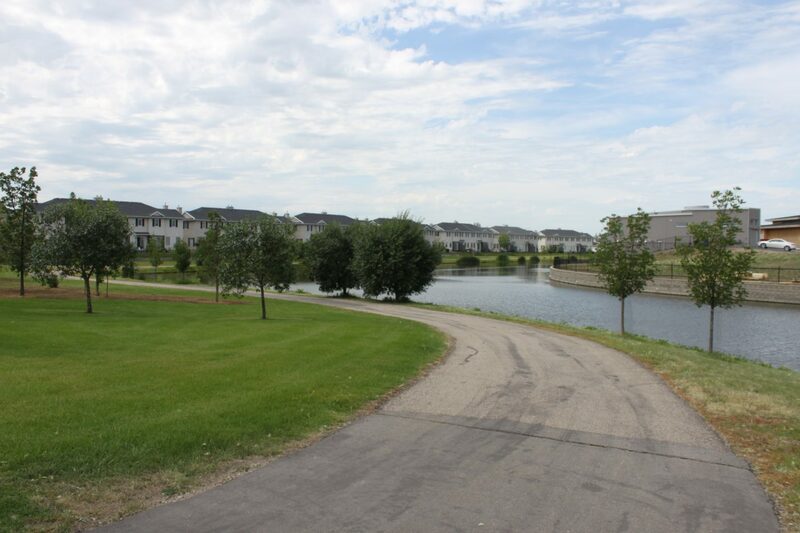 River bend borders the Gardiner Park neighbourhood to the West, the Wood Meadows neighhbourhood to the South, the Spruce Meadows neighbourhood to the East and both the Glencairn Village and East Pointe Estates neighbourhoods on the North side over Victoria Avenue. 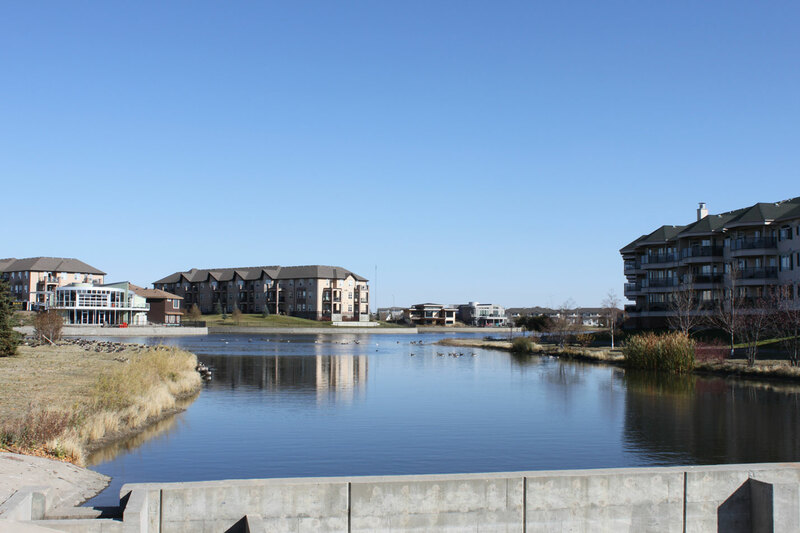 The area features a man made lake with several walking paths throughout and the vast majority of housing in this area is in the form of condominiums with a sprinkling of affluent single family homes along some of the waterfront. 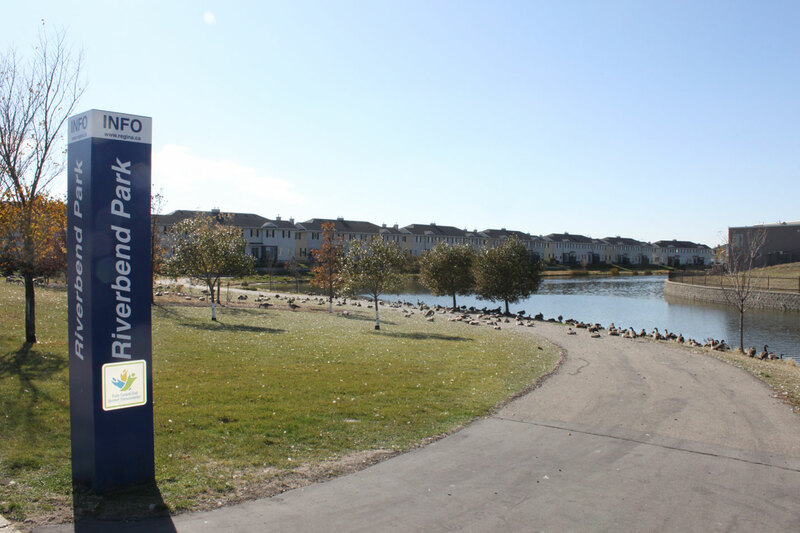 Near the centre of the River Bend neighbourhood is River Bend Park, a large park with scenic walking paths for residents to enjoy. 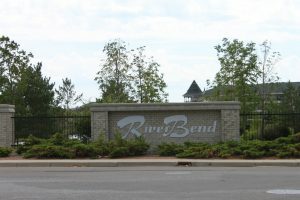 River Bend is also home to a substantial business district along the Victoria Avenue and Quance Street areas. The businesses found in this part of town make up a good portion of the commercial development concentrated in East Regina. Large scale box stores like Costco, Staples, & the Sherwood Co-Op Food Store are found here as well as many convenient franchises like PetSmart, Chuck E Cheeses, and Boston Pizza. Better yet, make sure to stop in and frequent one of the local and family operated restaurants and businesses like Le Macaron, Houston Pizza, Regina Florist or Trino’s Menswear. Best wings in town can be found on wing Wednesday @ Birmingham’s Vodka and Ale House in the River Bend neighbourhood. They’re relatively new to Regina just opening here in 2013 and at last count they had 17 different “flavours of the world” – try the Canadian Maple Bacon – Best Wings Ever!